Underground: Liverpool St Price Guide: $$ Surprising, but London doesn’t have many in the all night category. Duck and Waffle goes one step further, being on the 40th floor of a City building. Watch the sun rise over London through well partied (or maybe jet lagged eyes) tucking into the eponymous confit duck with a fried duck egg on a waffle for ₤17. The IT edit of where to eat, drink and be merry in City, Holborn, Clerkenwell and Shoreditch. Surprising, but London doesn’t have many in the all-night category. 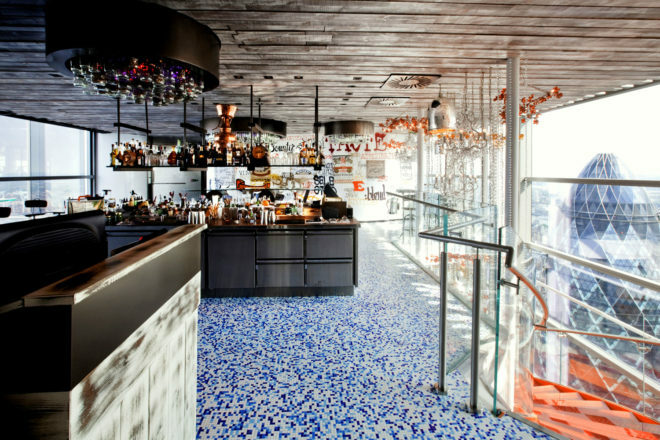 Duck and Waffle goes one step further, being on the 40th floor of a city building. Watch the sun rise over London through well-partied (or maybe jetlagged eyes) tucking into the eponymous confit duck with a fried duck egg on a waffle for ₤17. The birthplace of British revival cooking, St John’s now has several restaurants dotted across London. 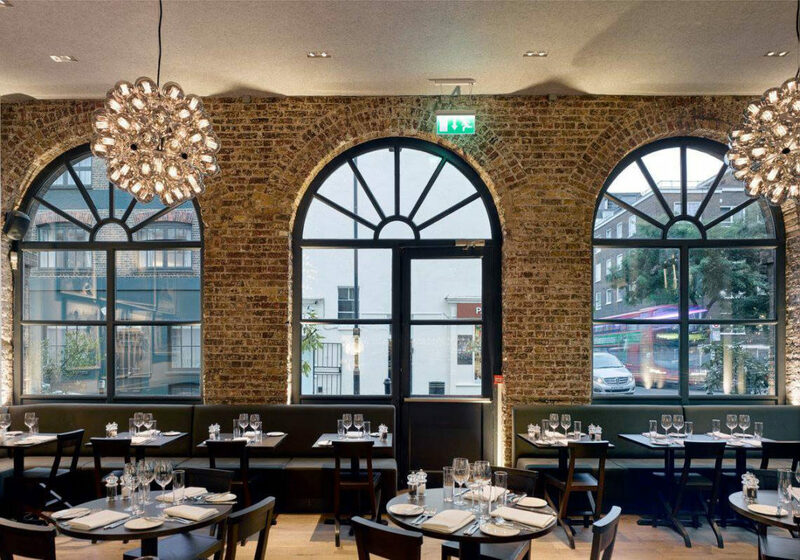 The initial Smithfield residence in an old smokehouse was the seminal joint for the pared-back-to-basics menu and setting that we see all too commonly today. A menu that includes such rarities as grouse or hare or lamb’s tongue, the menu is kind enough to point out that they try to avoid it but can’t guarantee that all game birds are free of lead shot. That should not put you off. There is also a great deal of far more approachable roast beef with horseradish, braised lamb or whole baked fish. If a great English meal of fish and chips is what you seek, then do not pass go, do not collect $200, head straight to Poppies. The fun fish bar serves sustainably sourced fish of great quality in a good batter. The full repertoire of East End fishy delicacies are on the very affordable menu (₤8-₤12 for a fish supper) including the stomach-challenging jellied eel. They have a sister store in Camden. Billing itself as a traditional Bombay café, this is an inexpensive, spicy flavour sensation that doesn’t swim in greasy gravy. Open for breakfast to dinner till late, the seasoned grills (₤7-₤11) are ample meals but the pulled lamb bun (Lamb Raan Bun ₤12) is the winner. Another Dishoom is in Convent Garden. The IT edit of where to eat, drink and be merry in Southbank and Waterloo. Roast celebrates the best of the British. Sitting atop Borough Market, wander in for breakfast or brunch after working up an appetite amongst the market action; a full English will set you back ₤15. The lunch and dinner menu spans the classics – cod and chips or a roast dry-aged fillet for two with Yorkshire pudding and dripping ‘taties (₤72.50). This mid-priced Eastern European restaurant is a great fit for meeting old friends in London. Start at the lively bar with more than 60 different vodkas for a pre-dinner drink before being seated under the 40-foot wooden vaulted ceiling. Tuck into famous Eastern European classics like Ukrainian beetroot soup, Polish stew, blinis and Siberian dumplings (mains ₤14-₤18). As you make your way through London’s exciting, constantly evolving streets, it pays to ensure you know where you’re headed, especially when it comes time to eat. There’s nothing more helpful in that moment than having a guide – complete with price indicators – to help you make an informed choice. Food regret is a friend to no-one, least of all a traveller with only a few days to explore the best the city has to offer. One bad meal mistake can all but ruin an experience – and we’d sure hate for that to happen. For that reason, we’ve compiled this list of best restaurants in South Kensington, Knightsbridge and Chelsea for you to keep close. In this wine lover’s heaven there are more than 150 tipples by the bottle or 40 wines by the glass. A wine-suitable menu of nibbles like soft-shell crab tempura (₤8) or a maple-braised duck breast (₤15) makes this a great refuelling stop on a day’s shopping adventure. Lunch specials make it doubly worthwhile – ₤10 for a main with coffee (not wine, a little unexpectedly). Drawing inspiration from the Izakayas of Japan, this stylish establishment serves up exceptional Japanese cruisine at seriously reasonable prices. The ultimate place for a catch up with friends, Kurobuta has the kind of chilled out ambience and great food you want – and the kind of food that tastes as good as it looks on Instagram. 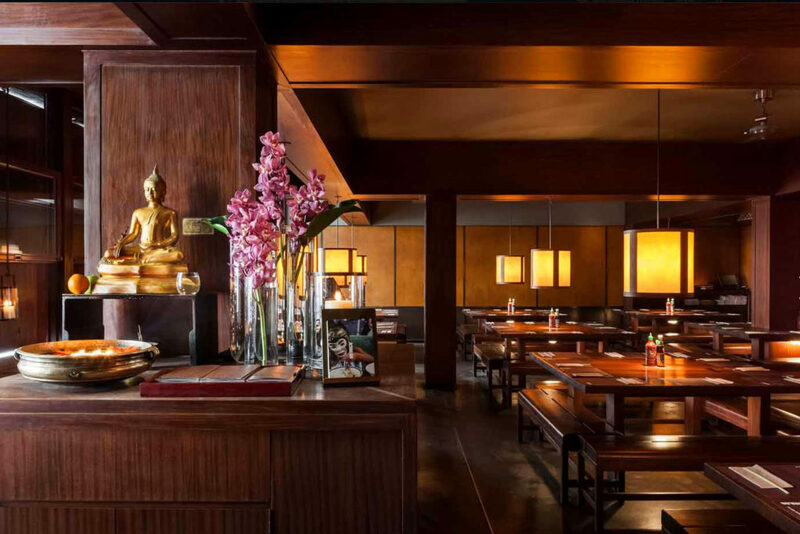 Must try: you can’t go past the flamed edamame with sake, lemon butter and sea salt, or the yellowtail sashimi. The Singapore fried chicken is also legendary, as is the Tuna sashimi pizza with truffle ponzu. Established in 1995, Cambio de Tercio is led by modern and innovative Spanish cuisine. Like mama used to make – but with a fresh twist. Alberto Criado is the head chef, and prides himself on creative dishes that transport the senses. From classic tapas, to raw and vegetarian small plates, a shared dish set-up between friends is certainly the key to getting the most bang for your buck. Must try: their famous Iberico ham croquettes are legendary, while the garlic and chilli prawns are also a firm favourite. You can’t go past the spicy patatas bravas they’ve created in what they call a ‘new way’ – or the Spanish omlette with black truffle. The Shed is what happens when two country boys leave the farm to their third brother and move into the big smoke to open a restaurant – the farm comes to the city. The shed serves up the best of the Gladwin’s brothers farm produce and surrounds in West Sussex, in laid-back but sophisticated ways. Small plates (₤6-9) designed to share include lots of kale, venison and lamb. Maggie Jones is an honest and rustic restaurant loved by locals for 40 years. Tuck into great value bistro food (Fish Pie ₤18 and a steak ₤22), while the 70s eclectic décor makes it like eating in a nanna’s country kitchen. Thoughtful food, and that’s not just about what turns up on the plate. The Frontline Club is a video press club which just happened to have an award-winning, reasonably priced restaurant on the ground floor. Think vegetarian tagine for ₤14 or a rack of lamb for ₤19. The walls are adorned with big-name photojournalists work that compete with your food for attention. The IT edit of where to eat, drink and be merry in Mayfair, Marylebone and Westminster. It says what it does on the tin, just a whole lot better. Cheese-lovers should make a pilgrimage to La Fromagerie, simply to see what cheese boards of the world should be like. A Viennese-inspired local café, the easy atmosphere, affordable menu (₤14 for a schnitzel) and all-day dining makes it a great easy-eats with style. Cousin to the Burger and Lobster chain making such an impression in London, it follows the same surf’n’turf success, but this time the stars are Norwegian king crab with Angus steak. 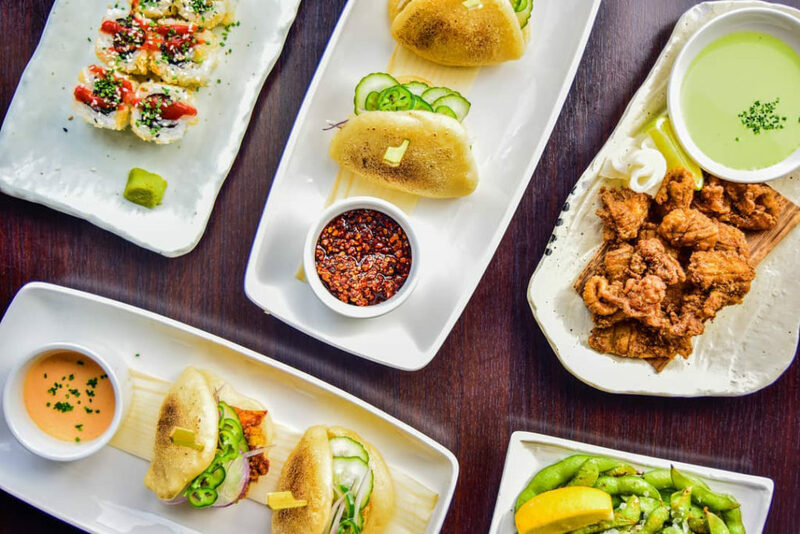 Whilst the menu makes choice easy – a set price ₤75, crab or steak main, two desserts and one entrée – the wine list is where choices are to be made with more than 150 bottles to choose from. 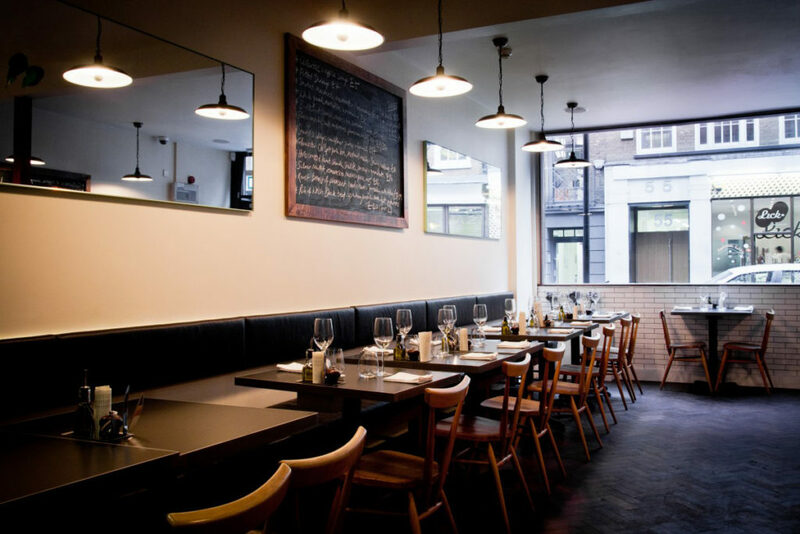 Situated in a basement, its rustic communal seating sets a moody milieu – perfect for a wintry London evening. A tiny blink and you’ll miss out on a great meal; this is a place where food, décor and people-watching are in perfect harmony. Wood panelling, cosy banquettes and photographic artworks on the walls make this a secret joint for those who know. The à la carte menu is sophisticated featuring feathers, fins and fur (mains ₤24-36) but the lunch special is a fine affordable affair, with three courses for ₤30. Looking for somewhere to grab a bite around London? The problem is, there are almost too many options to choose from, and before committing to a meal, you – like everyone else – wants to ensure you don’t end up regretting your choice. For this reason, we’ve concocted a list of great eats around a few popular areas of London, even breaking them down with a price guide, so that you – our dear readers – can make a more informed decision when it comes to important matters of the stomach. Diners are tightly squeezed in this affordable Soho venue. Fresh and seasonal, the venue serves up unfussy, good quality food with a menu that constantly evolves – daily in fact. Perfect for a refuel whilst hitting the shops, 10 Greek St is sure to satisfy even the most insatiable of hunger. Known for their impeccable selection of wines; Luke, Cam and the 10 Greek Street Team recommend you ask for the ‘little black book’, a hand-written list of rarer wine gems. Must try: Spiced sweetcorn soup, burrata, fried cod cheeks with romesco and chorizo and the truffle gnocchi are stand outs on this menu. Burger & Lobster restaurant, London. A fast expanding group (we are avoiding the chain word for snob reasons), there are now six locations across London in all the hoods you will be visiting: Mayfair, Knightsbridge, Mayfair, City and Fitzrovia. 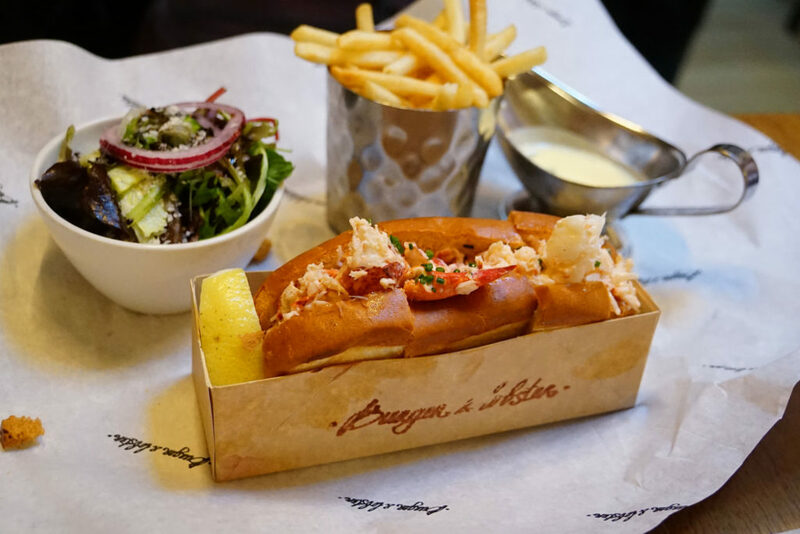 Established in 2011, Burger & Lobster’s name pretty much gets straight to the point! Take your pick from the three items on the menu; a burger, a lobster or a lobster roll, and get ready to fill right up. Consider this fair warning, the portions are not small. Must try: The lobster chowder and panko prawns are legendary to start, but for main course, it’s gotta be the lobster burger with brie, truffle and tarragon mayo. Woo! Terroirs is almost an institution serving charcuterie and wine. 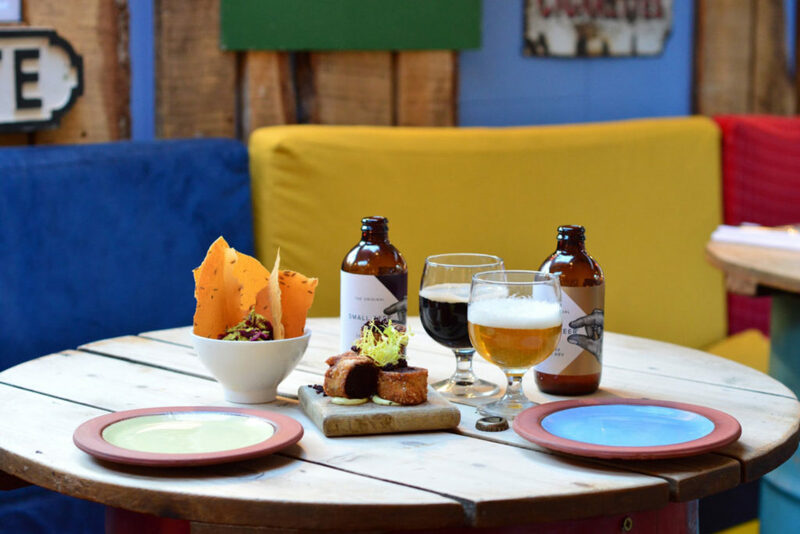 It features a great selection of reasonably priced food and even more interesting wine that can be ordered by the glass, pot (500ml) or bottle. 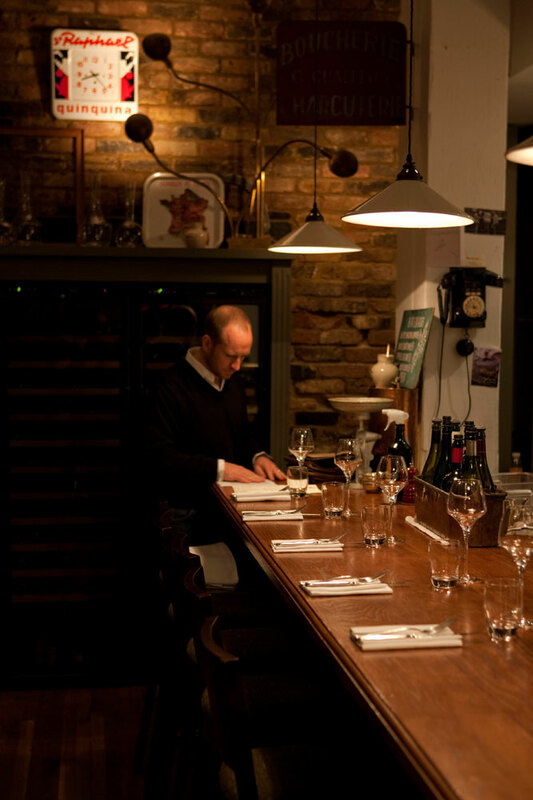 Terroirs is the perfect choice for people who choose their food based on what wine they feel like drinking – and they make no apologies for that – as the food suits the wines on the menu like an absolute dream. But make no mistake, while the food is great, the wine really is the star of this show. Must try: the menu changes often, but some stand outs to look out for are the mussel risotto, the cave aged cheddar (which we don’t even have to tell you how well it goes with a good glass of vino), and the tomatoes, smoked eel and capers. Delish! A quick, easy and cheap Thai group of restaurants dotted across London. Australian Thai food guru David Thompson was involved in the menu design from the beginning, so it has all the hallmarks we are used to. If you’re in the mood for a Pad Thai and all the other usual Siam suspects, drop in for a quick bite. You certainly won’t regret it. Must try: the chilli prawn stir fry is delightful, as is the Pad Thai – obviously – but what we love the most is the Mussman duck curry – and the roti bread! 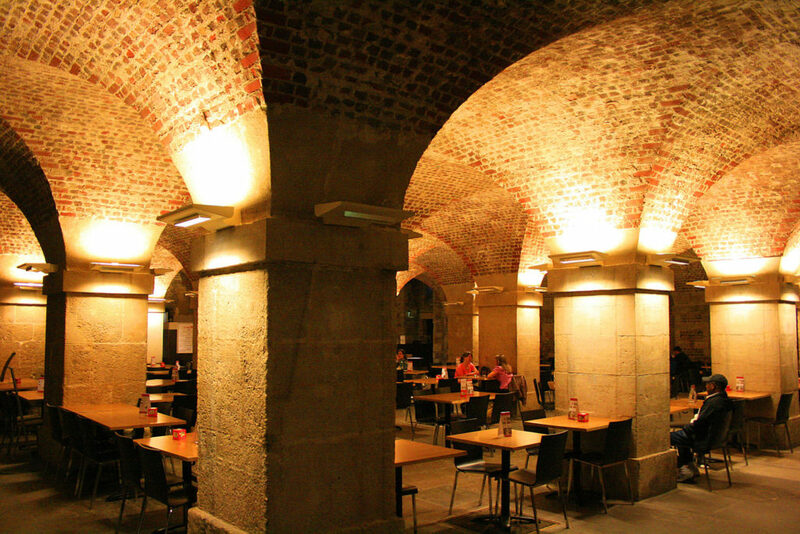 An institution no first-time visitor to London can miss, this is the Café in the Crypt. Set in the 18th century crypt of the church on Trafalgar Square, this café serves old school hearty English breakfast, lunch and dinner for crazy bargain prices. 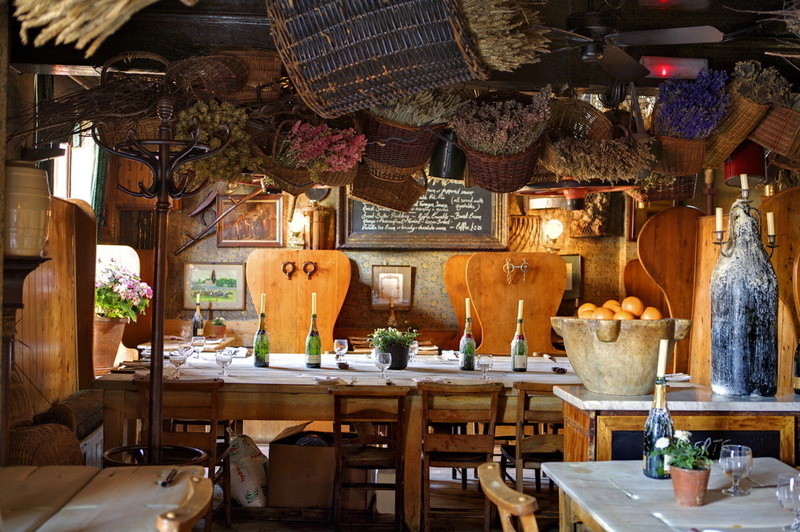 Known for its extravagant architecture, the hidden spot is a well known secret among London locals and tourists – probably due to the original brick-vaulted ceilings and historic tombstones lining the floor provide the backdrop while an assisted buffet offers a varied selection of freshly prepared, value for money food throughout the day. It’s simple honest and good value. Must try: the traditional hot pudding in the form of sweet apple crumble served with custard and the open sandwiches. Hello proscuitto and picalilli and the gravlax salmon!